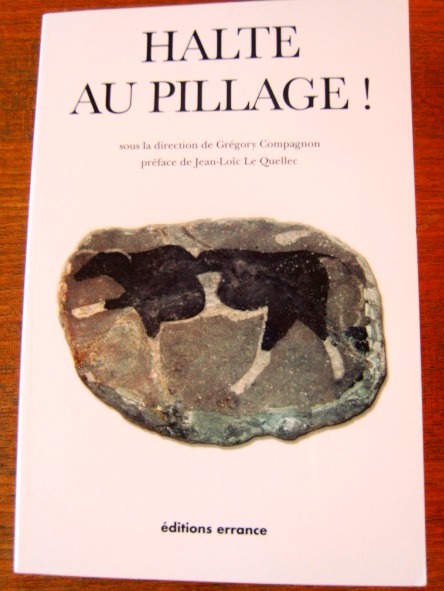 Heritage Action’s Nigel Swift was recently invited to contribute to Halte au Pillage! – a collaborative book by authors based throughout Europe, which addresses and calls for policies to put an end to self-serving artefact prospecting. It was recently launched in Paris and has been well received. Nigel’s chapter is part of a section called “Le scandale des détecteurs de métaux” and is titled “Fantaisies, fictions et faussetés : quelques tristes réalités derrière la coopération entre « metal detectorists » et archéologues en Grande Bretagne” .